Designed for drying and transferring products between rooms. 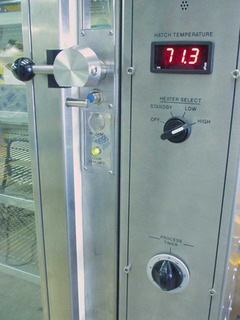 The doors are electrically interlocked to prevent simultaneous opening thus maintaining the integrity of sterile areas. 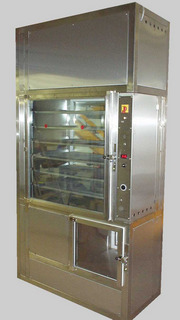 Typical applications include the transfer of hand washed items not suited to automatic washers.